Harrisons (Walter Harrisons) Select Budgie Food is a high protin, high carbohydrate and easily digestible mix for budgies. Harrisons (Walter Harrisons) Foreign Finch Food is a triple cleaned mix of essential seeds for finches. 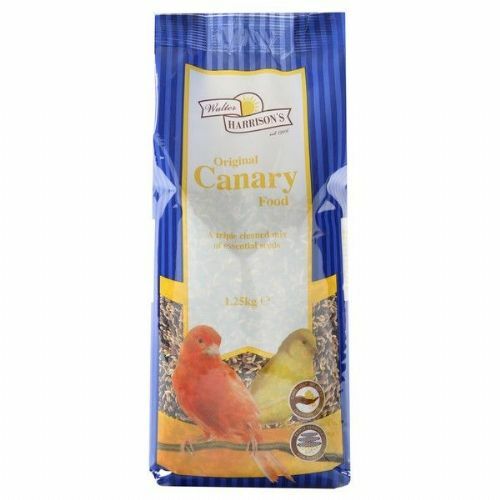 Harrisons (Walter Harrisons) Orignal Canary Food is a triple cleaned mix of essential seeds for canaries. 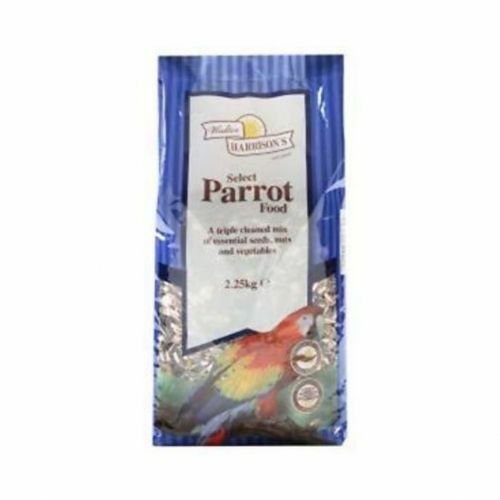 Walter Harrisons Premier Parrot Food is excellent quality all round mix containing a range of tasty,nutritious seeds,nuts and vegetables helping to provide parrots with a well balanced diet for optimal health and wellbeing when supplemented with fresh fruit and vegetables. 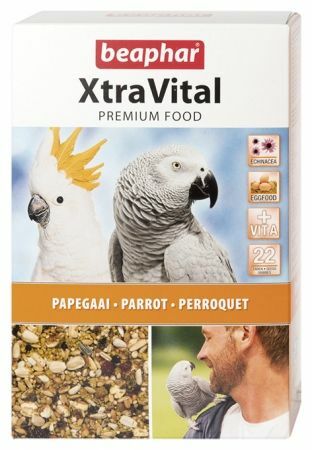 All of these high-quality ingredients have been triple cleaned and expertly blended to create this parrot food. 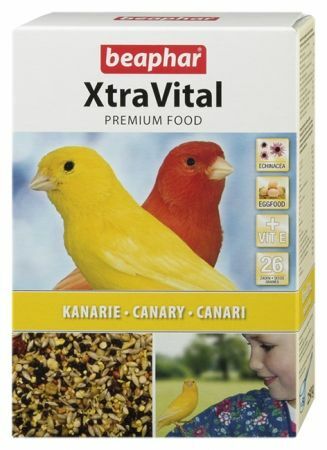 XtraVital Canary Feed is a tasty and well balanced, seed-based premium bird food, developed in cooperation with nutritionists, vets, and bird experts. It combines fruit, 26 varieties of seeds and egg food to provide optimum nutrition. One packet will feed a typical canary for seven weeks. 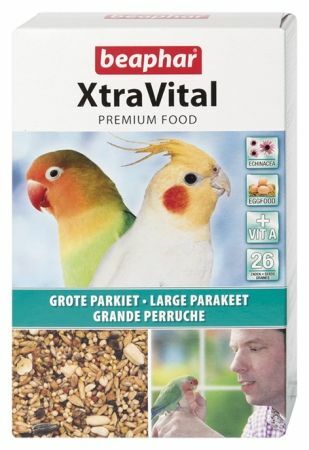 XtraVital Parrot Feed is a tasty and well balanced, seed-based premium bird food, that has been developed in co-operation with nutritionists, vets and bird experts. It is ideal for parrots, including Amazons & African Greys. Also suitable for cockatoos and big parakeet species over 100g in weight, such as Eastern Rosellas. 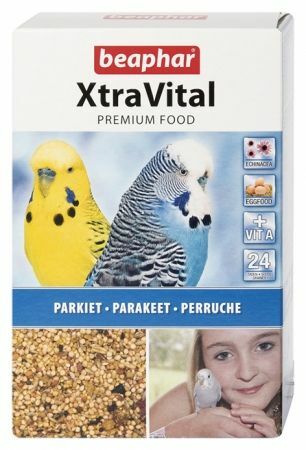 XtraVital combines fruit, 22 varieties of seeds and egg food to create a complete food which delivers optimum nutrition. One packet will feed a typical African Grey for three weeks. Composition: Seed composition is variable but might typically include;- red millet, nyger, green millet, white millet, canary grass, buckwheat, hemp, paddy rice, peeled oats, wild turnip, rolled oats, sorghum, safflower, wheat, linseed, sesame, lettuce.